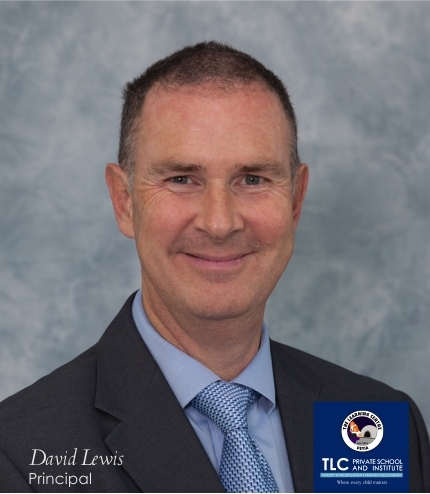 David began his career in banking, working for Lloyds Bank, initially in branch banking before transferring to Lloyds’ distance learning unit where he was responsible for producing interactive training courses for bank employees. He soon realised his passion for learning and development and embarked upon a Bachelor of Education Degree at the University of Plymouth. On completing his teaching degree, David moved from his home in Devon to take up a teaching post in Hampshire. Whilst his degree specialism was history, David has held teaching positions with curriculum management responsibility for mathematics, ICT and business studies. David’s 21 years teaching experience includes four years at Portsmouth High School for Girls and eight years as a Deputy Headteacher at Embley Park, Romsey, which later became Hampshire Collegiate School. David has always taken an active role in curriculum development and teacher training. He was heavily involved in the formation and implementation of the Teacher Learning Academy and played an instrumental role in the development of the RSA’s Opening Minds skills curriculum. In 1998, he was delighted to be awarded the BT Primary School Teacher of the Year Award (Southern Region). For the past seven years David has been producing creative teaching material for Harper Collins Education and has previously produced reviews and articles on innovations in teaching for Teach Primary magazine. He is currently undertaking curriculum mapping projects with Rising Stars. David has spent many years holidaying in Cyprus with his wife Catherine and was keen to combine his love of the island with his passion for teaching and learning, prompting a move in 2010. Prior to joining TLC, David managed a private education institute in Paphos delivering IGCSEs, language and business studies courses. At TLC, as Principal, David is responsible for the introduction and evaluation of education programmes as well as the day-to-day management of the school.